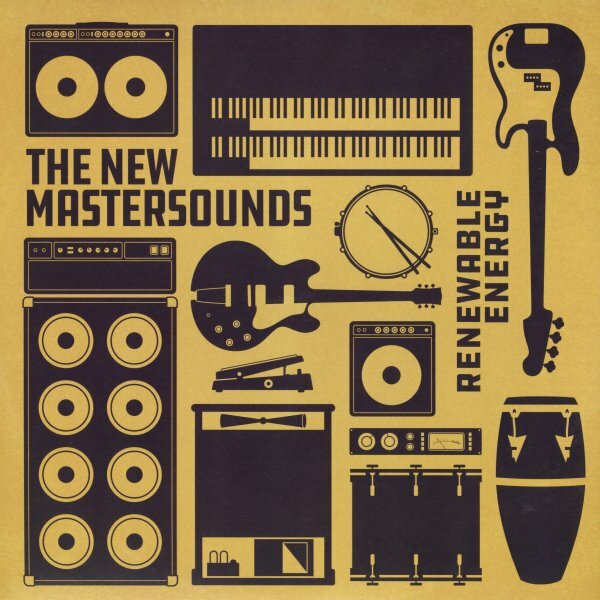 The New Mastersounds must have their own source of renewable energy – as they've been giving us great records for many years now, and still are strongly on top of their game! The core quartet is driven by the funky drums of Simon Allen, the bumping bass of Pete Shand, the sweet keyboards of Joe Tatton, and the always-sharp guitar of Eddie Roberts – and this time around, they recorded in New Orleans, with help from guest trumpet, tenor, and percussion! There's a diversity to the instrumentals that few other funk groups might venture – especially one as classic as this – so that sometimes the keyboards are in the lead, sometimes Eddie Roberts is taking the whole thing over on guitar, and sometimes the whole group is coming down strongly on the groove. Adryon De Leon sings on "Gonna Be Just Me" – and all other tunes are instrumentals, with titles that include "Hip City", "Chicago Girl", "Tantalus", "Pudding & Pie", "Funk 49", "Green Was Beautiful", and "Living That Jazz Life". © 1996-2019, Dusty Groove, Inc.